The movement toward increased funding for schools within the Baldwin County Public School System is marching forward as officials in both Fairhope and Gulf Shores weigh new special tax districts they hope would mean millions in additional dollars for schools in their feeder patterns. As leaders eye the potential loss of the countywide penny tax in 2018 and see the school system’s loss of 1 mill of property tax funding on the ballot in March, those at the municipal and county levels see a great opportunity in special tax districts. Figures provided by John Wilson, chief financial officer of the Baldwin County Public School System, show a 3 mill special tax district in the Gulf Shores High School feeder pattern would generate an additional $5.5 million per year, while a Fairhope High School feeder pattern tax district would bring in $1.8 million per year. Those dollars would only be spent within each respective feeder pattern district. Additionally, Wilson said the extra funds would give each feeder pattern a higher borrowing capacity. In Fairhope, it would mean $26.7 million in additional bonding power and in Gulf Shores, the tax would give the feeder pattern $79.5 million in bonding power over the next 30 years. 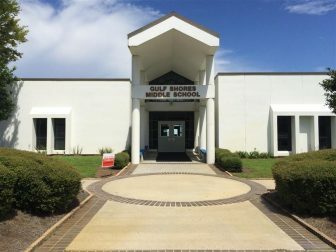 Gulf Shores Mayor Robert Craft said Gulf Shores Elementary School is “grossly overcrowded” and the school’s 11 portable classrooms are placed all over the campus, taking over the school grounds. Gulf Shores High School also has a handful of portable classrooms on campus, and Craft fears as the elementary students grow up, the middle and high schools will also be overtaken if nothing is done to address the growth. To Craft, the loss of millage in the March election, coupled with the county school system’s “pay as you go” plan to address some of its smaller growth issues, show the Gulf Shores feeder pattern will need a boost in funding for its problems to be addressed. According to U.S. Census data, Gulf Shores’ population doubled since the turn of the century, skyrocketing from 5,044 citizens in 2000 to 10,963 in 2014. Craft said the city provides in-kind donations to the feeder pattern. It mows and maintains the grounds at the schools as well as the athletic fields those schools use, and it provides transportation for students who attend municipal after-school programs. 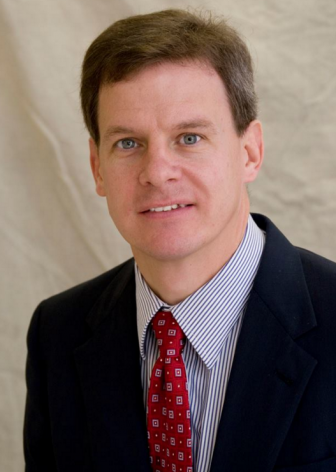 At a May 11 Fairhope Education Advisory Council (EAC) meeting, Wilson said the Baldwin County Board of Education could vote as early as its June meeting to establish borders for each feeder pattern special tax district. After that, voters in each feeder pattern would have to vote up or down on the plan. Currently, there are two tax districts that contribute funding to the school system — District 1, located near Little River in north Baldwin County, and District 2, which covers the rest of the county. 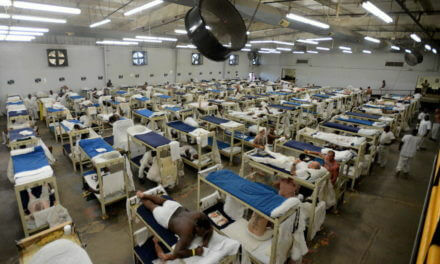 Property owners in District 2 pay 30 mills in state, county and school taxes. Property owners who live in incorporated municipalities pay additional mills. In Gulf Shores and Orange Beach, property owners pay an additional 5 and 4 mills, respectively, while in Fairhope they pay an additional 15 mills in city property taxes. Like most of the county’s feeder patterns, the Gulf Shores High School feeder pattern includes more than one municipality and a handful of unincorporated areas. In Fairhope, a recent academic audit performed by the Akribos Consulting Group for the Fairhope EAC recommended the city pay $600,000 per year for additional personnel and $80,000 for increased professional development for teachers. The Fairhope City Council provides $350,000 annually to the EAC to disburse among the city’s schools, and this year the EAC has roughly $300,000 to spend after allocating $49,000 for the Akribos study. Among the recommendations from Akribos was the creation of a special tax district for the Fairhope feeder pattern. At the EAC’s May 11 meeting, representatives from each of the city’s feeder pattern schools discussed the remaining funds with the committee and how to move forward with Akribos’ recommendations. A portion of the EAC’s annual contribution could be used to fund professional development over the next year, which assistant superintendent Hope Zeanah said the county system spends $26,000 on countywide. To EAC Chairman Kerry Flowers, the biggest issue is that schools in the county system don’t have a sustainable funding plan for the future. At the meeting, the EAC voted to recommend four target areas to improve Fairhope’s schools to the Fairhope City Council. The first is to provide “high-quality, targeted, research-based professional development for teachers and administrators.” Other target areas are effective data meetings at the school level and at the five-school organization level, providing substantial and regular time for teacher collaborations, and hiring an instructional data leader for the Fairhope feeder pattern. Flowers said the EAC and Akribos Group will present the academic audit’s findings to the Fairhope City Council on June 13.